As much as I love cooking, I can have days where I am incredibly lazy, especially on those nights when i get home from work and the last thing I want to do is slave over a hot stove. 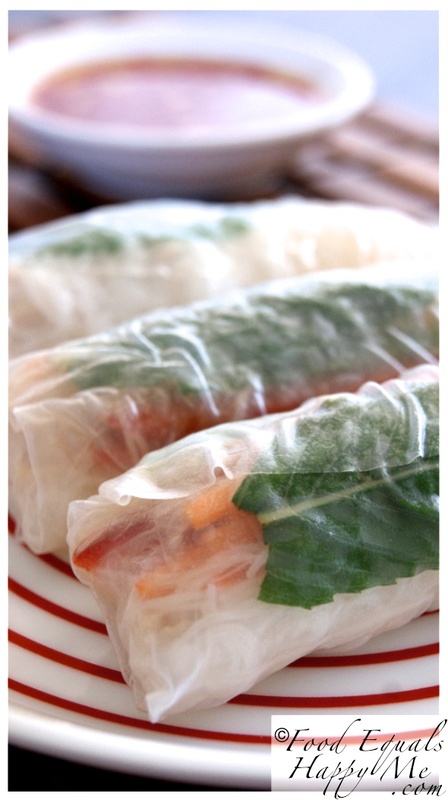 Therein comes the super quick and easy rice paper roll! These have to be my favourite go to fast meal. My only other rule, and this one is very important, is that you must dip the rice paper wrapper in hot water only briefly. DON’T leave it to soak as it will be overcooked. Dip it in the water for all of about 5 seconds, it will still be hard when you pull it out but it will continue to soften as you fill it, and in turn be perfectly cooked. 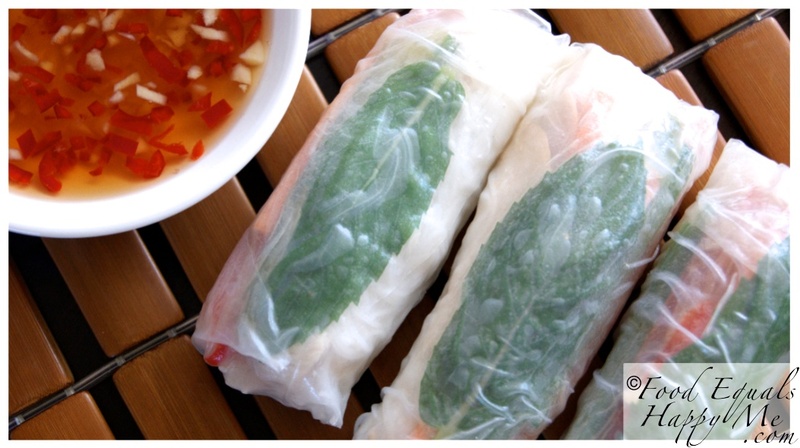 Here’s a couple of my favourite rice paper roll recipes, the steak variation involves a little more cooking, whereas the chicken one is my super lazy version. Step 1 – To make the marinade for the steak place the lemongrass, garlic, chilli, fish sauce, and lime juice in a blender and blend to a paste. Pop the steak in a zip lock plastic bag and pour over the marinade, rub the marinade all over the steak and leave in the fridge for 1-2 hours to marinate. Step 2 – Prepare all your filling ingredients and set aside. Cook the steak over a medium high heat until medium-rare and then set aside to rest. Meanwhile place the noodles in a bowl and cover with boiling water, leave for 5mins and then drain and place in a bowl. After the steak has rested slice into thin strips. Step 3 – Fill a large bowl with hot water, dip the rice paper into the water for 5 seconds and then lay onto a board, Leave the bottom edge of the wrapper overhanging the board so that you can easily grab the edge when you are ready to roll. Top the wrapper with a little of the noodles, a couple slices of steak, a few strips of the cucumber and capsicum, some lettuce and mint. Grab the bottom of the wrapper and roll it over the filling, roll halfway up then fold in the edges and continue to roll it the rest of the way. 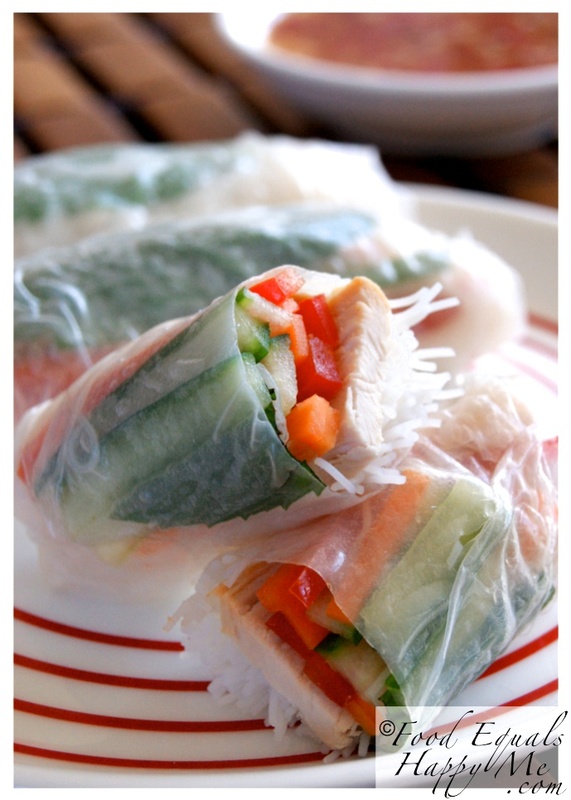 Serve with Vietnamese dipping sauce. Method: Combine all ingredients in a bowl and stir to combine. Step 1 – Prepare all the ingredients for the filling and set aside. Step 2 – Fill a large bowl with hot water, dip the rice paper into the water for 5 seconds and then lay onto a board, Leave the bottom edge of the wrapper overhanging the board so that you can easily grab the edge when you are ready to roll. Top the wrapper with a little of the noodles, some chicken, a few strips of the cucumber and carrot, and some mint leaves. Grab the bottom of the wrapper and roll it over the filling, roll halfway up then fold in the edges and continue to roll it the rest of the way. Serve with Simple dipping sauce.